We use the internet for everything nowadays – from research, to shopping, and selling our goods – we are living in a digital world. As growth in this industry has progressed, online security has become a major hot topic. One of the biggest players in this industry, is Google. Google is in the business of trying to serve the most high quality, relevant content to its user base, who perform billions of web searches on its platform each year. As the importance of cyber security has grown, so has the need to ensure that individual web masters are taking it seriously as well. As a result, Google has recently announced that starting in July of this year, all websites that do not load securely via the HTTPS protocol, will be marked as “Not Secure” – which could seriously increase the number of visitors who hightail it out of those websites, thinking that they aren’t providing them a secure browsing/shopping experience. Current estimates put the number of sites that could be affected by this requirement at close to 65% of the entire world wide web. So, take a minute right now, and look at your own website. Seriously… open a new tab and check out your website now, so you don’t forget. What do you see in the URL bar? If you don’t see a green lock and the word SECURE like the image below, you will need to take action to prevent loss of customers and conversions on your website. One other important thing to note, is that switching to HTTPS can also help your website rank better when it comes to local SEO – so it’s a win-win!! Depending upon the size of a site and scope, migrating your URLS from HTTP to HTTPS can be quite an undertaking, as you not only have to set up the SSL certificate, but you have to make sure all content on your website loads via the https protocol (including images, which can be the tricky bit). RAD is here to help! We are currently offering 2 packages to both current and new clients, to help them make sure they have the green SECURE padlock for their webpages. SSL + HTTPS Set-Up for Existing Hosting Clients – $150**: Current clients of our Heroic Website Hosting packages will receive FREE SSL certificates included with their paid hosting plans. If you are on a current maintenance plan but host your website elsewhere, there may be an additional cost to purchase your SSL certificate through your host or a 3rd party. In either case, we will install/configure your SSL certificate, as well as go through your website and set up all of the links and images to force load to HTTPS. This will ensure that the green Secure padlock is showing. If you are a current hosting customer and want to take advantage of this special offer available through 8/31/18, click here. SSL + HTTPS Set-Up for NEW Clients – $225**: For clients who are not on an active hosting/maintenance plan, we will configure and set-up your SSL certificate within your current webhost, and set up the HTTPS protocol to ensure that all pages on your site are loading securely, with the green SECURE padlock in the URL bar. 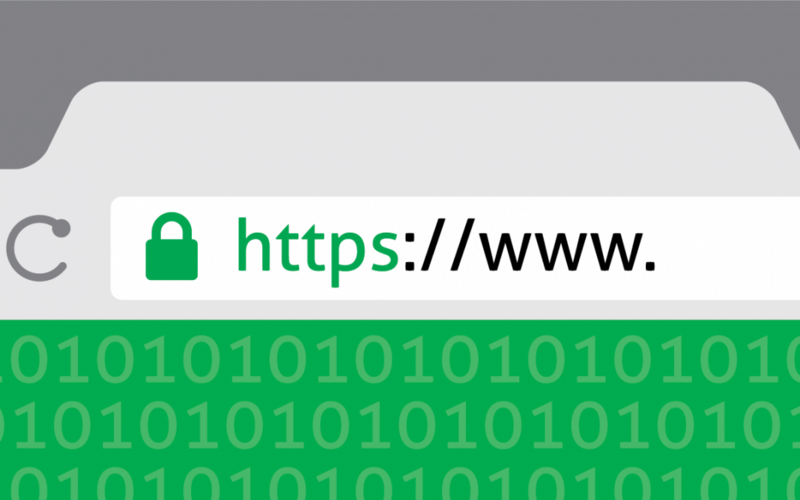 Depending on your host, there may be an annual fee for your SSL certificate which is not included in the price (and likely will be billed directly by your webhost). If you are not a current hosting and/or maintenance customer and want to take advantage of this special offer available through 8/31/18, click here. **Note: If you use any 3rd party website trackers, iframes, appointment schedulers or load any other 3rd party content within your website – it can be tricky and potentially impossible to get the green SECURE padlock to show on those pages, because you are at the mercy of whether or not the 3rd party website/software that you use has also implemented SSL/HTTPS protocol. If you use services or embedded scripts like these and have a question as to how it might impact you, please call us at 707-205-3600 and we can take a look for you. All future new website designs that RAD Web Marketing creates will automatically include this secure SSL/HTTPS protocol. If you are in need of a new website, now might be a great time to take the leap! Call us at 707-205-3600 for a free consultation.